What is SDR-RADIO and SDR-SPACE? 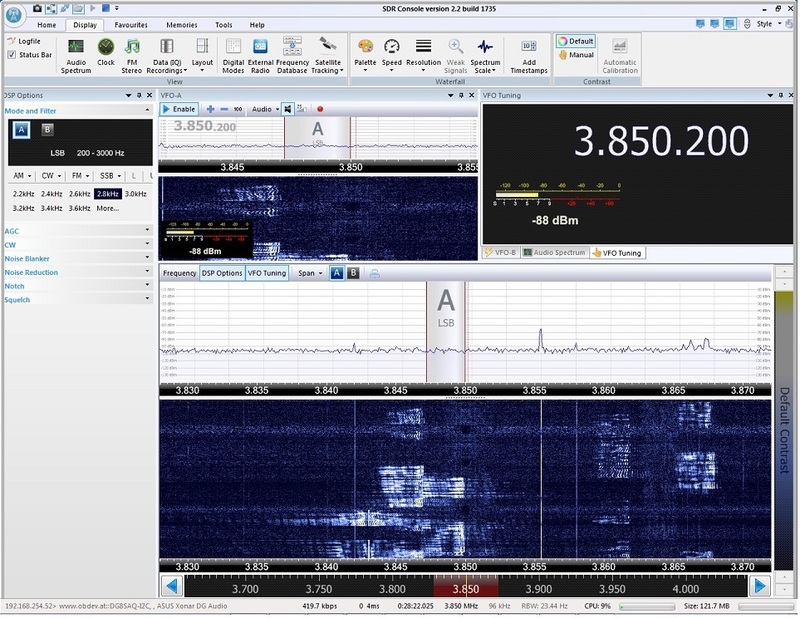 SDR-RADIO.com is an advanced Windows console for Software Defined Radio (SDR) receivers and transceivers. Designed for the commercial, government, amateur radio and short-wave listener communities, the software provides a powerful interface for all SDR users. The software is being continually developed with new features added on a regular basis. Continuing the success of version 1.5, work on version 2 started in June 2012. The current release is Version 2.2. This software was written by Simon Brown, HB9DRV. Simon was the author of the very popular software Ham Radio Deluxe! The software console is very impressive as shown below. You can download SDR-Radio Console here. Below is a listing, updated every 10 seconds of what tuners are available around the world. This comes from the SDR-Space.com website.